directly inquired through comments or eMail, and those monitored . OR individual Posts on blog center, will NOT be answered nor linking to it . .. in the order of most common Questions on top, with the latest on bottom, and as always : will be regularly updated with date . most popular phones in Korea ? is SamSung Electonics’ Galaxy line, due to inevitable cultural difference than the sleeker Apple iPhone and iPads . this BLog informs extensively on the latter . Where to buy electronics in Seoul ? this /used/ to be the hand-ful of electronics districts that corner the great metropolis, as the “Great Gates” did (now only ONE standing post-Millennium), but On-Line shopping malls have the cheapest price, more than Duty-Free Shop at airports . but you will need local residency, so the nearest super-mart will be best for expatriates with a good balance of price and support on repairs . Apple service center in South Korea ? constantly changing with the influx of Apple products into the Peninsula, and is well illustrated on the Official Korean website . but be fore-warned, it will be nothing like you get at actual Apple Stores in the States, because ALL are out-sourced -_- so-much-so that feasibility of repairs AND price differ much from branch to branch . How to set up ipTime password ? NO password is set on a new device out-of-the-box, and follows a quite common set up routine common to most routers . this is basically introduced on top menu of this BLog . inCheon Airport camera section shopping ? there-are THREE large areas for DSLR, lens AND compact digital cameras at different sections run by Korea Tourism Organization and Lotte on the main wing, and Shilla further on the separate wing named Concourse . map-wise, they form a large triangle on the massive airport, and you would have time to visit on one if you enter the neutral area an hour from your flight . they are also smaller electronics counters on a few individual booths and constantly changing . Sony service center YongSan directions ? is on the under-ground floor of YongSan Electronics Land “JeonJa Landu” New Wing, at West-end of the whole YongSan Electronics Market . Wi-Fi Router in South Korea comparison ? time is well-past about FOUR years, that there simply is NO need to compare other than monopolizing ipTime as over 2013 – both in price as well as quality of connection, still NOT design . past Koreans’ curiousness over Californian lords Linksys and NetGear, as well as the seek design of Belkin . most used Chinese D-Link and local AnyGate before the influx of ipTime . and if you still must : some are using Zio from distribution to cheap local stores and familiar brand from USB dongles . then Chinese netis is rising as a slight contender on the price factor, while trying hard to imitate ipTime’s record support . Moving to Hawaii & KT Phones…(Wibro too). I know the LTE bands are wrong but what about HSPA+? I have talked to a lot of Kyopos who have lots of problems with cell phones there. I love my LG G3 (Qi wireless). Are there any Korea services in Hawaii that might be of value? Sad to hear You go, but I am sure You are on to better things ..
there is a small Korean community in Hawaii, with mobile stores ~ so Mahalo ! An autographed photo of your super model (backround) will hold me over till I buy a pixel 7, Zenpad 3S, or S3 Tab. 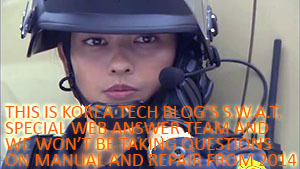 I dont think IPTIME can push the gig internet I hope to have back in Korea next year if all goes well. Think Nighthawk R8000 X6,Asus RT-AC88U or google mesh routers might be the way to go.